Super Frog! 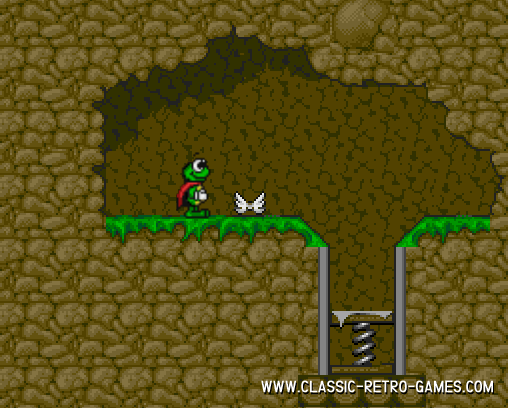 This excellent platform game for Amiga has been remade for Windows PC's by Lithium Dream. The game is excellent, just as the Team17 original was. 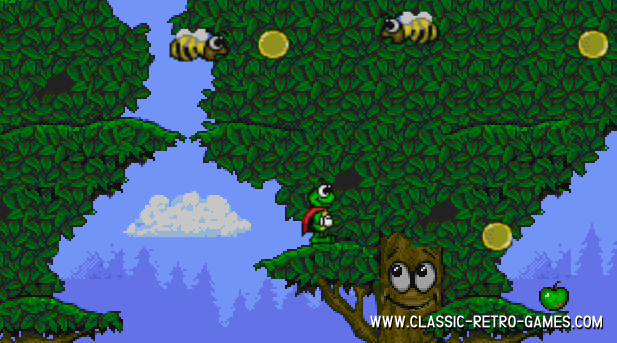 Super Frog is a rum and jump platformer much like Sonic for example. In this game you are a Frog ofcourse! The game is fast, fun and challenging. The remake of this retro classic is nothing less than that. So download this Windows PC remake of Super Frog free and start jumping! Currently rated: 4.7 / 5 stars by 581 gamers.